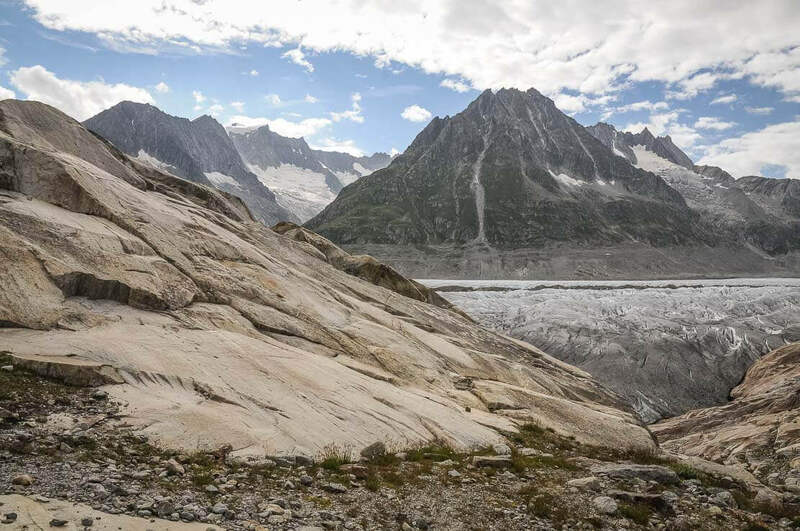 The majestic and imposing Aletsch Glacier is a great reward for this easy hike offering a first-class view of this edge of the Alps, recognised as UNESCO World Heritage Site. 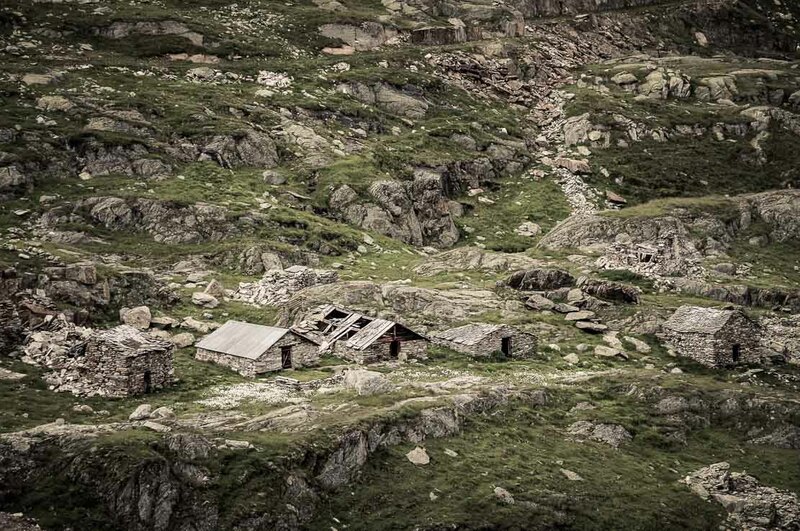 When we go hiking over the weekend, we usually spend a night in a mountain hut. 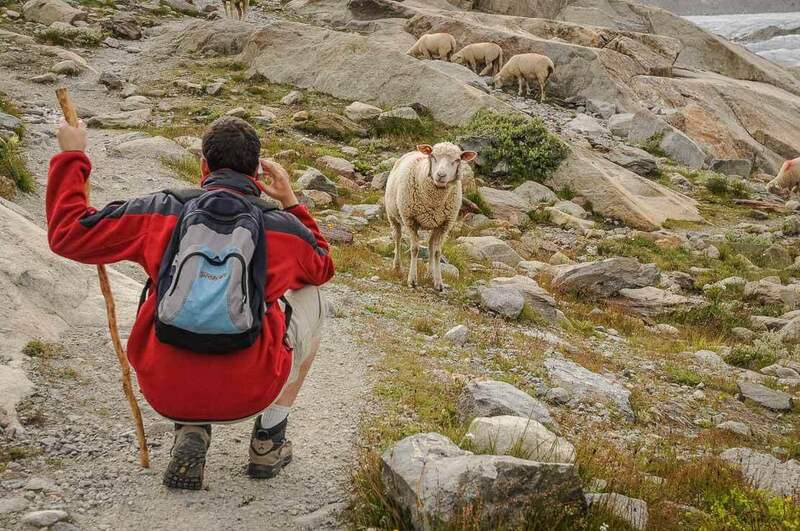 This time, doing our research for the Aletsch Glacier hike, we overlooked a very obvious possibility. 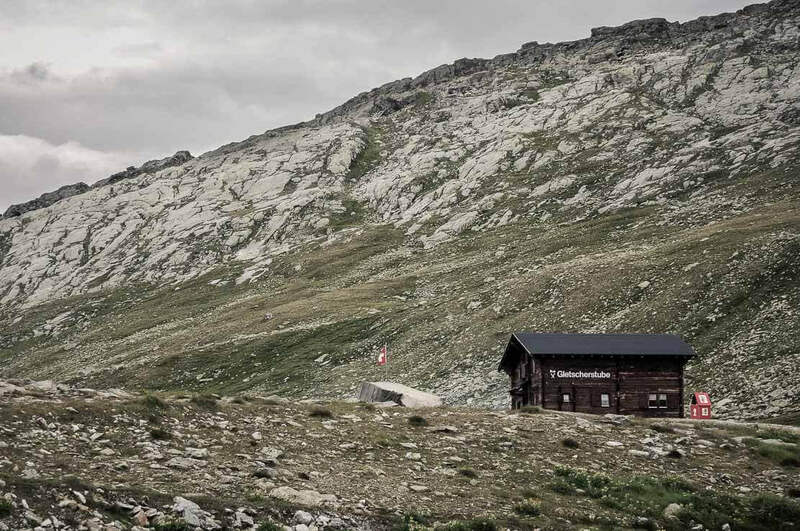 A small detail that will make us regret our mistake when we were passing by the Gletscherstube Märjelen hut located right near the glacier, where we could have stayed overnight. But mistakes are simply the opportunities to start smart next time. 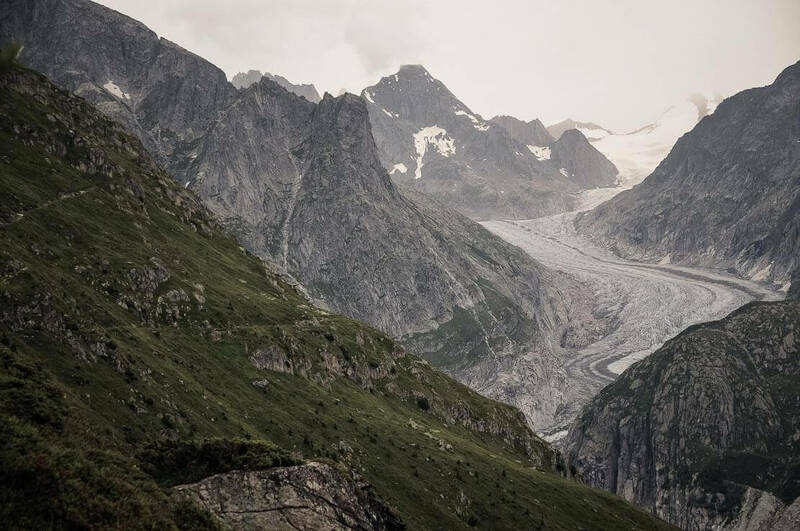 For our hike to the Aletsch Glacier, we leave Geneva for the village of Fiesch, located past the Rhone Valley in the canton of Wallis. 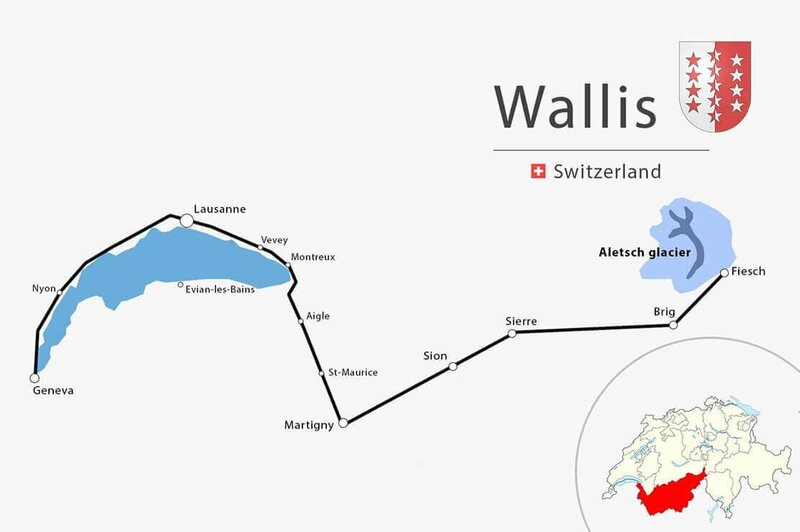 We walk around its streets, with beautiful wooden and very typical Wallis houses burnt by the sun, before taking a cable car to Fiescheralp located at 2’212m. 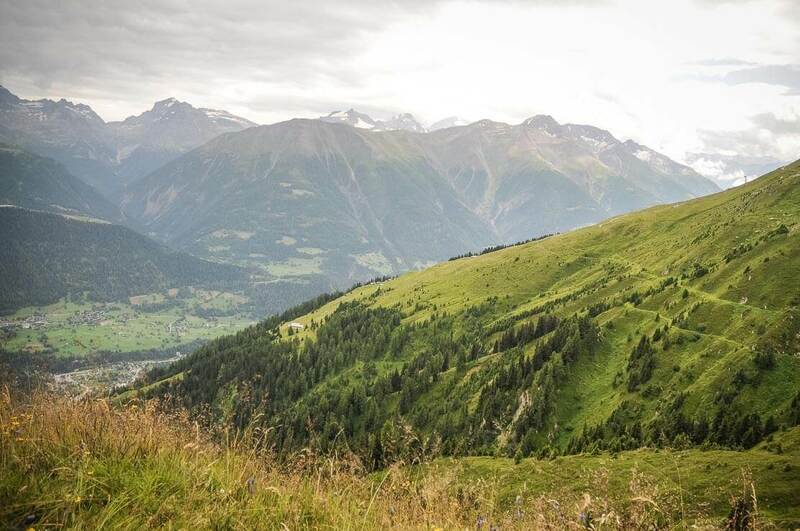 It’s also possible to walk from Fiesch to Fiescheralp in less than 3 hours. 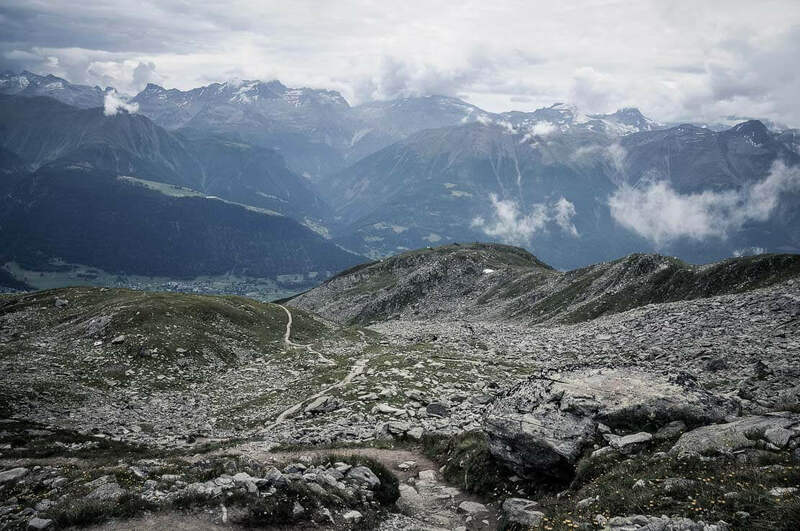 We take a cable car to Fiescheralp and follow the trail to Eggishorn. 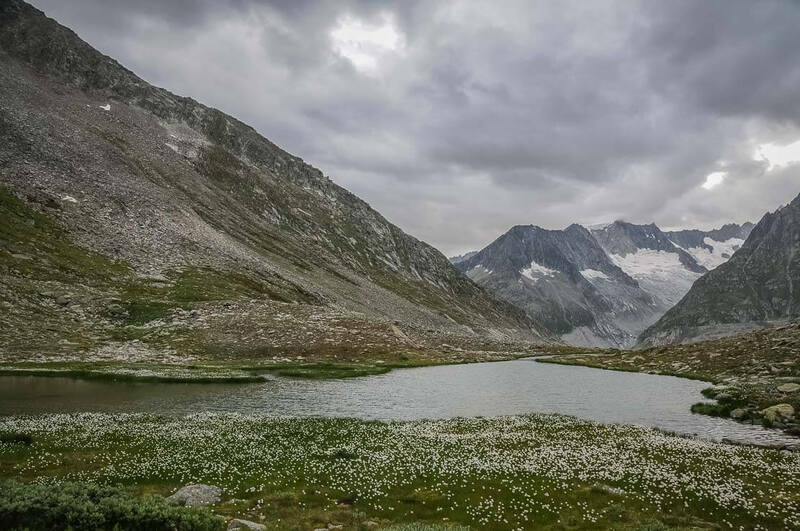 The path for Eggishorn, located at 2,869m, passes through the alpine pastures. Eggishorn can also be reached by cable car from Fiesch or Fiescheralp. 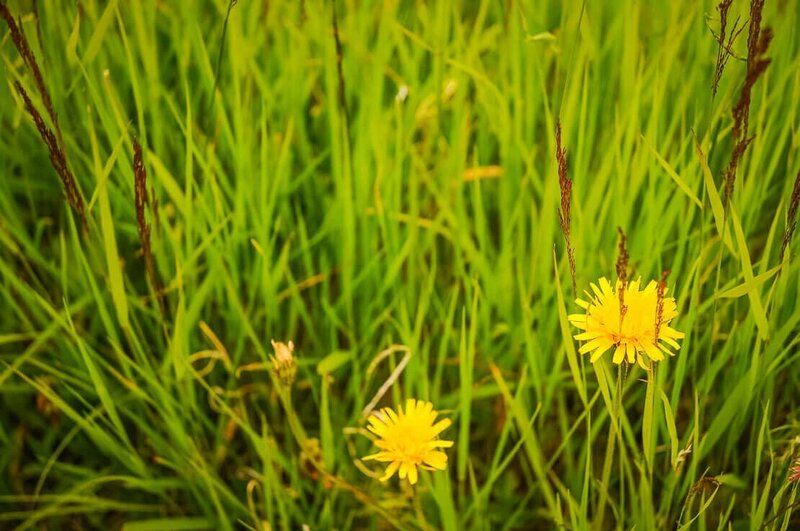 The first part of the hike is a very easy trail on gentle slopes covered with flowers. 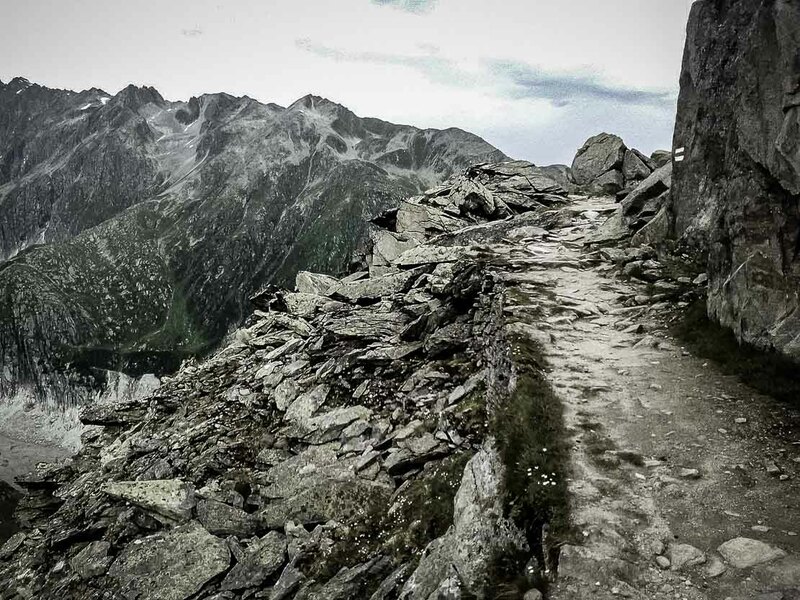 The path is fairly flat, and we have a beautiful view of the mountain peaks. 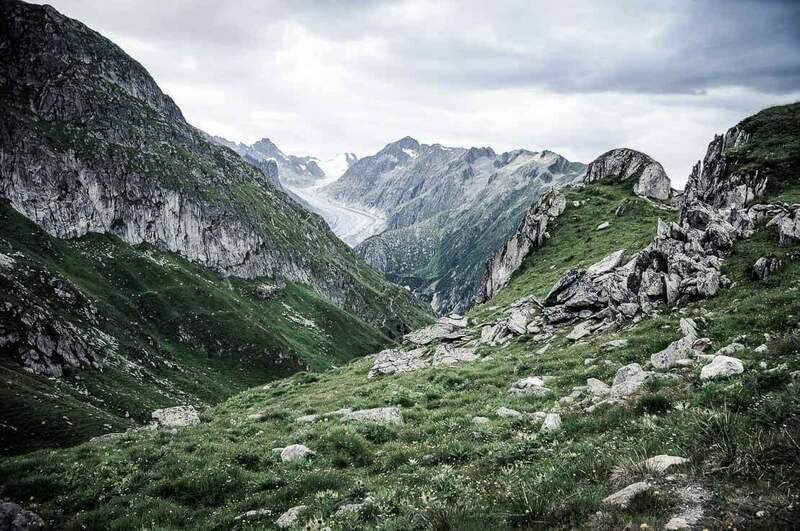 Here, we have a choice of getting around the Tälligrat and taking the trail offering a view of the Fiesch Glacier or taking a one-hour shortcut through the Tälligrat Tunnel (“Unnere Tälli”). 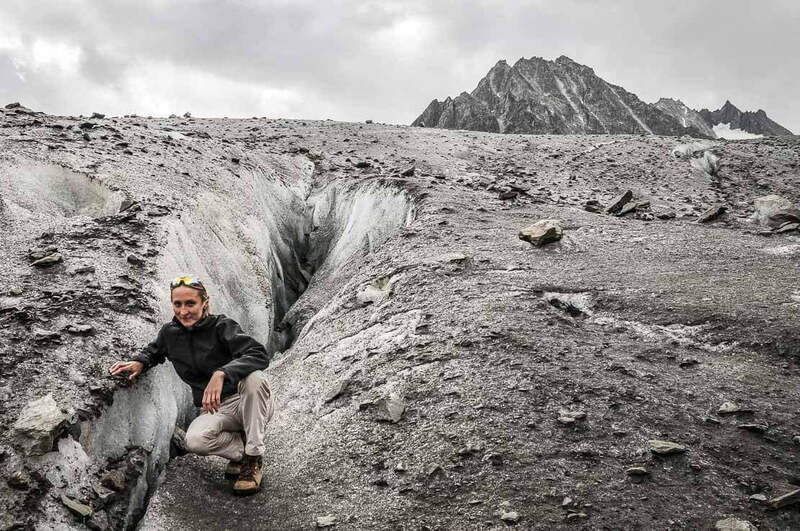 The tunnel, with its length of 1’500m, enables to cross the mountain and to go on the other side. 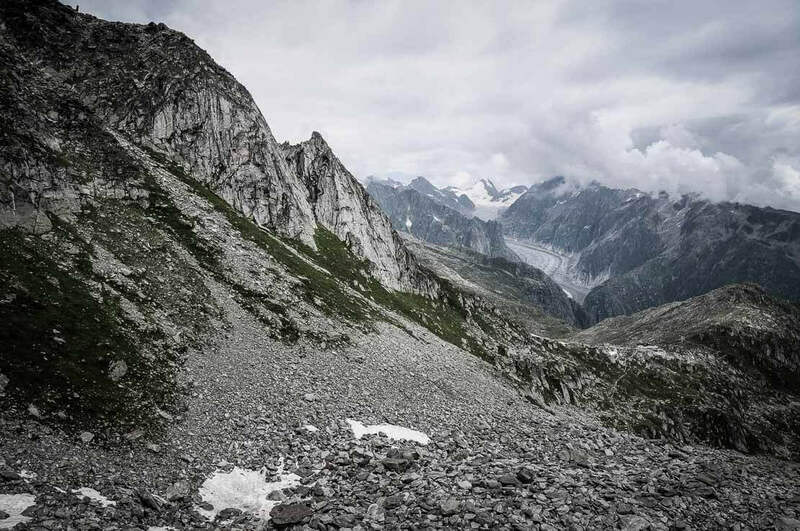 We decide not to take the shortcut this time and to see the Fiesch Glacier. 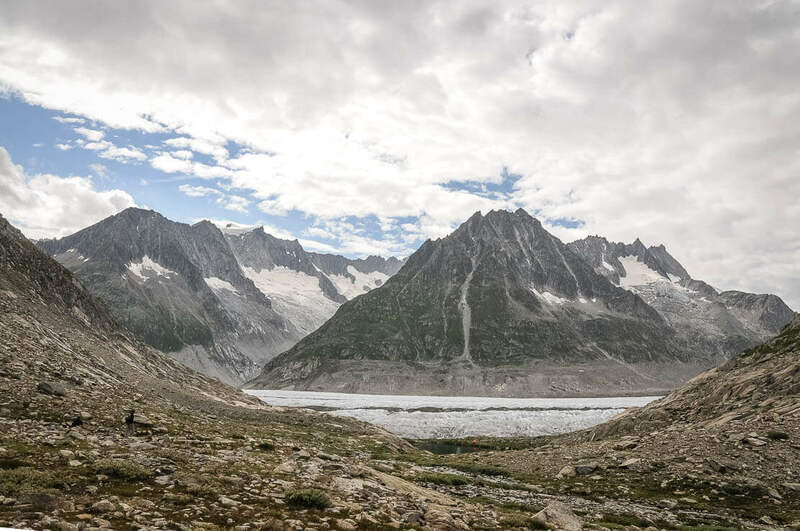 Thus, we discover two glaciers – the Aletsch Glacier and the Fiesch Glacier. 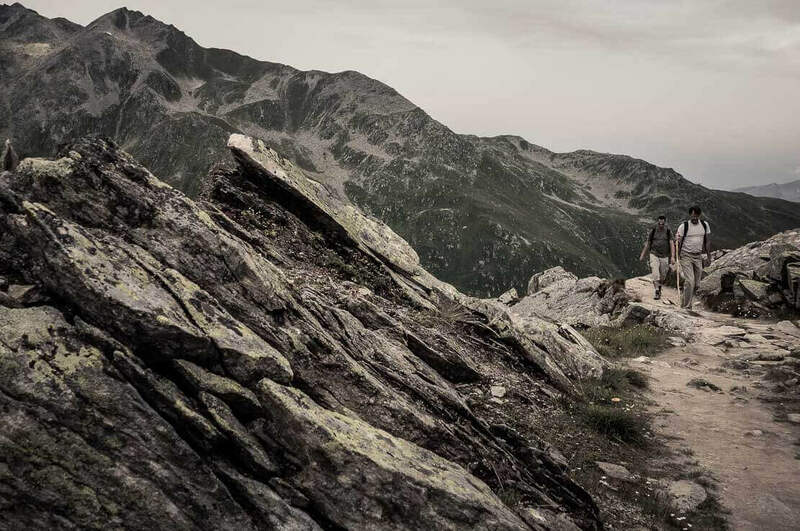 The hiking trail to the Lake Vordersee, very easy, with no steep slopes, is a good warm-up. We walk through rocky meadows with flowers. The weather is warm, and the air is deliciously fresh and pure. 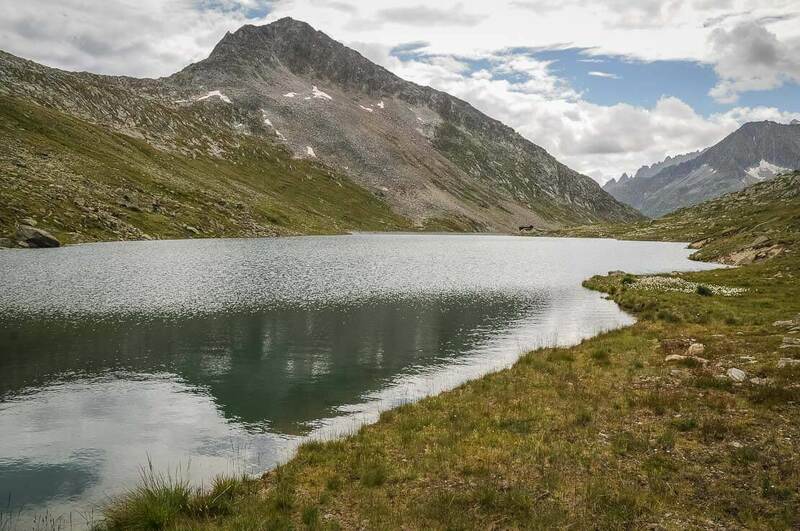 The Lake Vordersee, with Eggishorn just behind, is splendid. 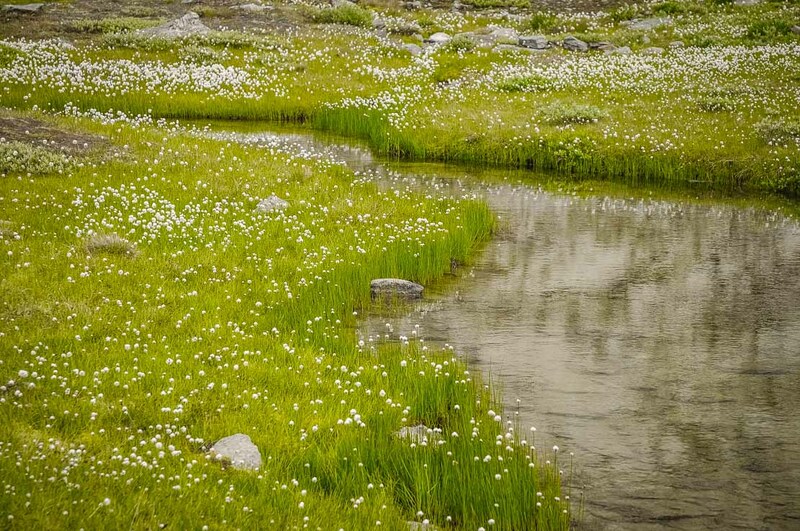 Its blue-green colour and its banks covered with flowers, particularly, with linaigrettes, invite for a swim. 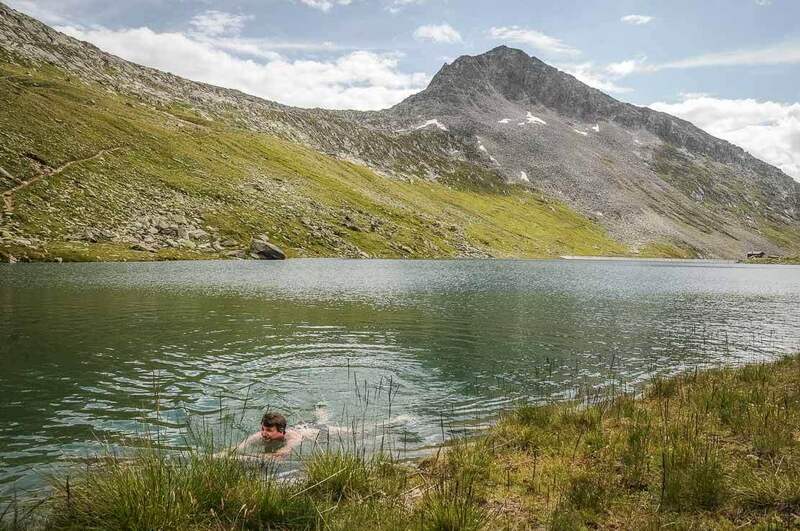 Our friend is either too much courageous or he takes his origins from the arctic penguins as he swims in a water that must be maximum 10°C. Soaking feet is more than enough for others. We relax on the banks of this peaceful mountain lake before continuing our hike. Taking the path leading to the Lake Märjelen, or Märjelensee, we discover a place that could have welcomed us for a night. 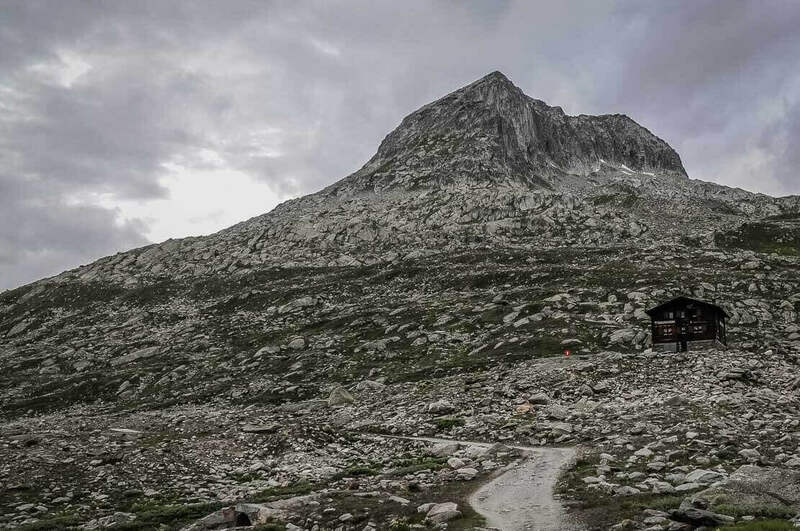 The Gletscherstube hut is now teasing us. 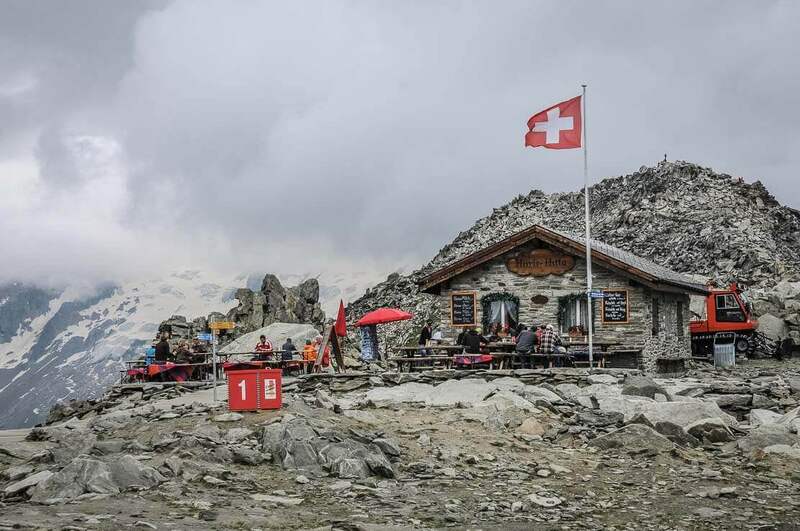 Located between Strahlhorn and Eggishorn and near the lake, Gletscherstube is a mountain hut, where you can stay overnight or just have a meal. 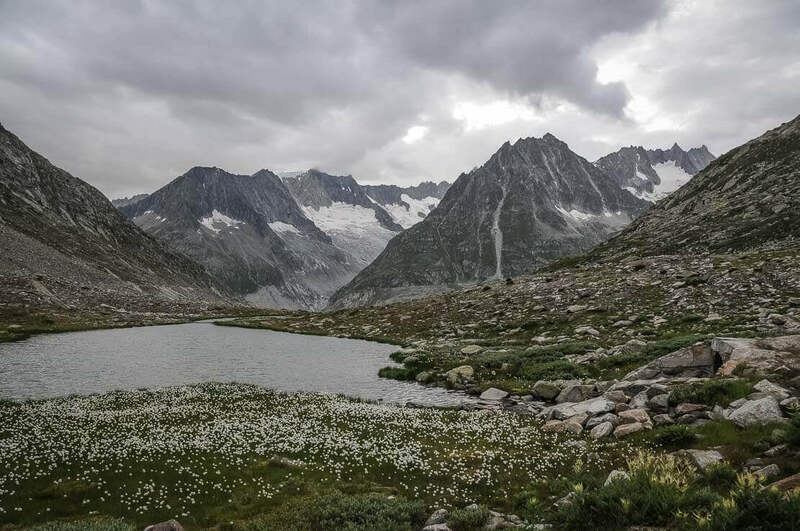 Its location is impressive, right near the Lake Märjelensee and the glacial tongue of the Aletsch Glacier. 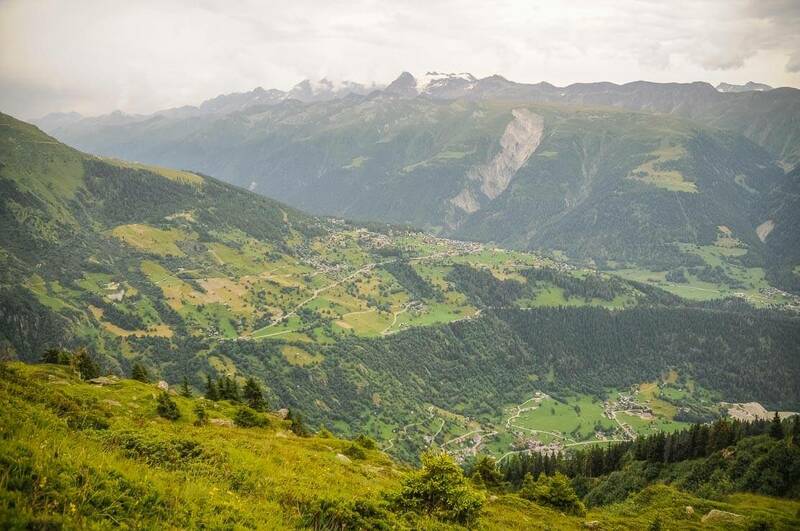 But we haven’t booked (bookings are essential, improvising doesn’t work in Switzerland), and we have already arranged our stay at the hotel Jungfrau in Fiescheralp. 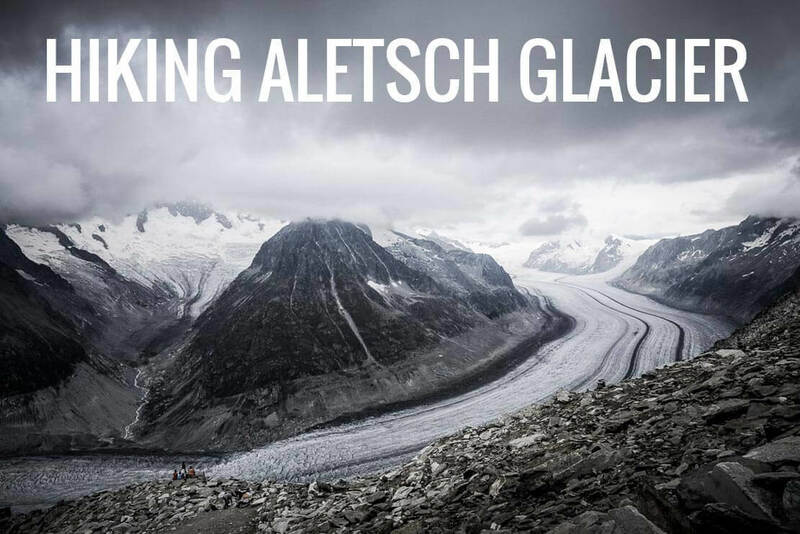 After our break, we go exploring the surroundings of the Aletsch Glacier, which we can see from the Gletscherstube hut. 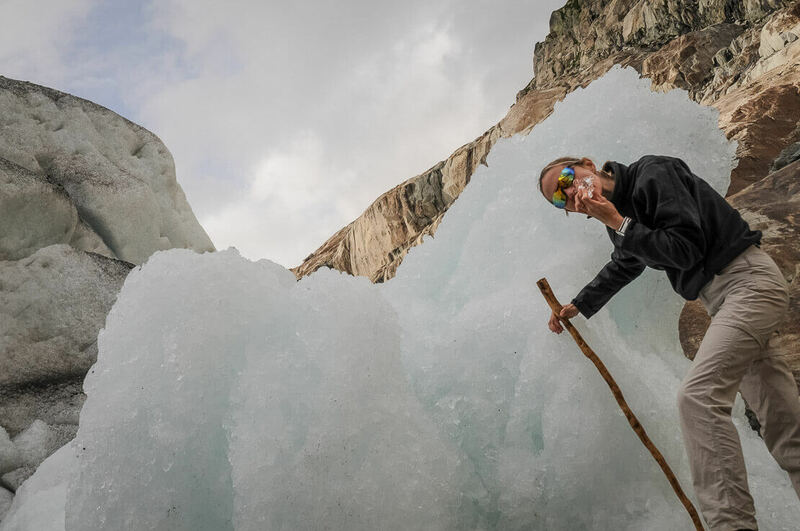 We take a trail to Märjelensee (Lake of Märjelen), a small reservoir of melting water that appears and disappears as the glacier moves. 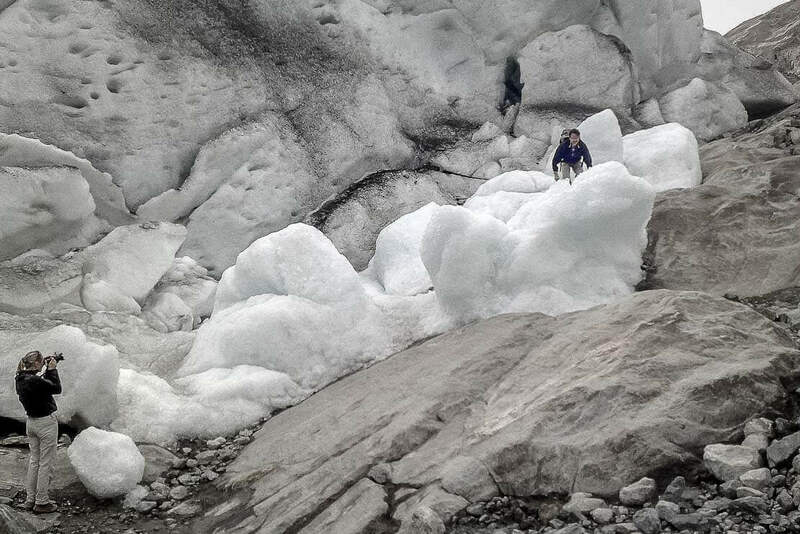 Last efforts, and we can touch the ice giant. 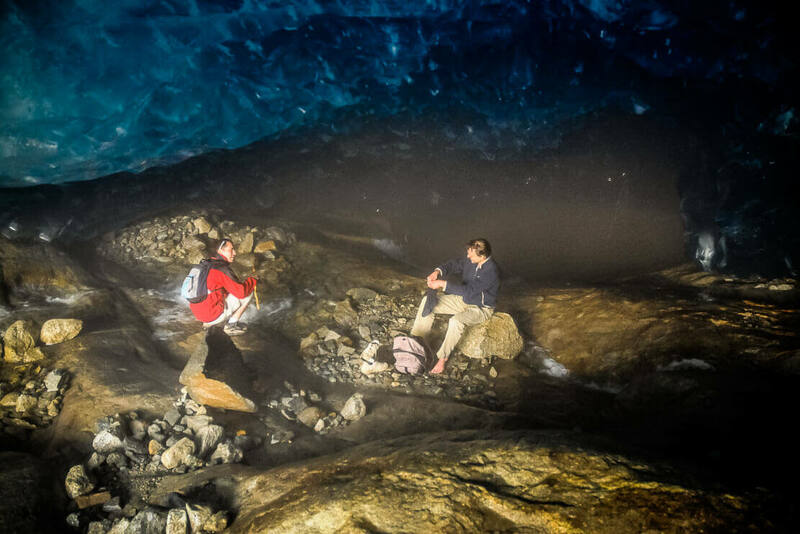 We come across a kind of ice cave, which is a nice surprise. The colours are splendid. 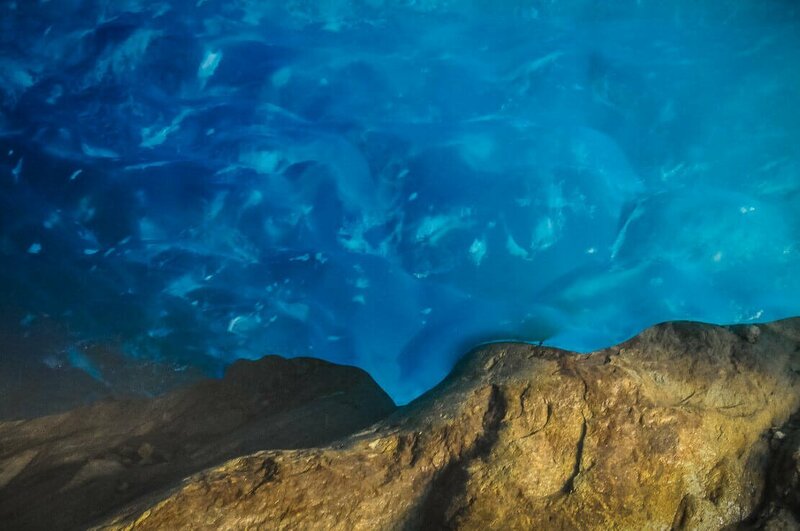 We enter this ephemeral cavern and stay there for a while admiring its smooth blue walls. And here again our friend takes his second swim of the day. 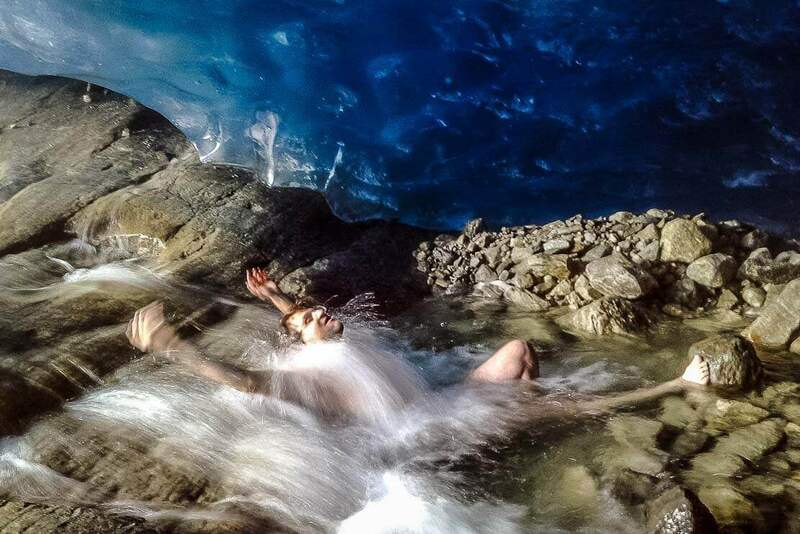 Highly courageous act as the water here is obviously colder compared to the one of the lake. 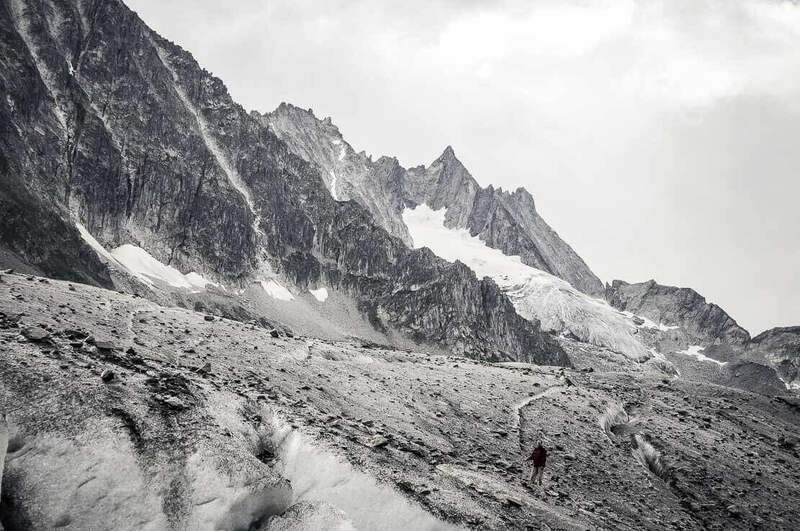 Although passing through the large blocks of rock, the path leading to the glacier is without great difficulties. This small detour is really worth it. 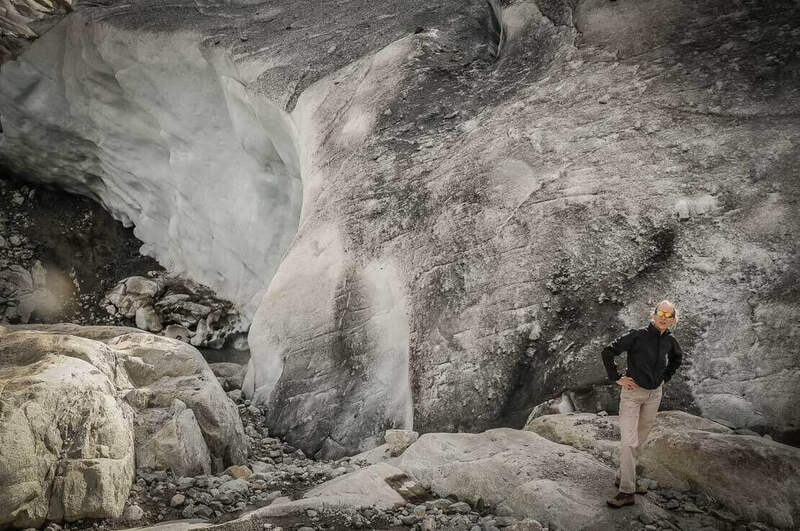 From a good point of view, we discover the impressive Aletsch Glacier. The Aletsch Glacier is the largest glacier in the Alps, with the length of about 20 kilometres. 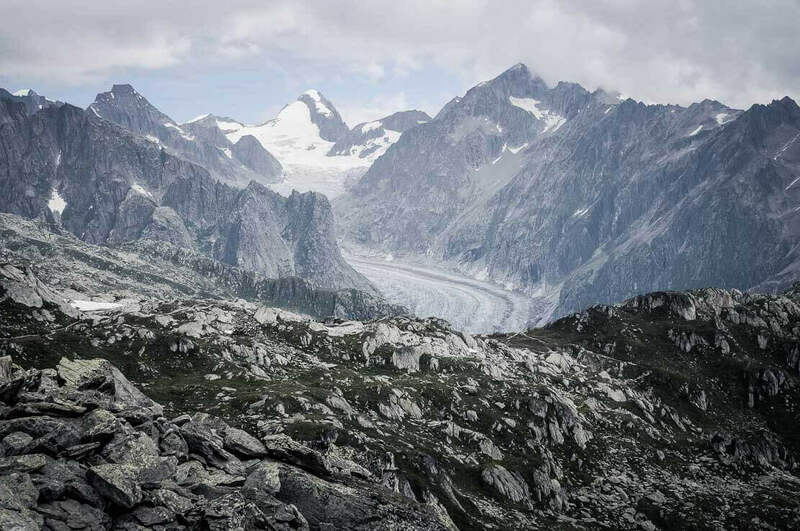 The Aletsch region is recognised as UNESCO World Heritage Site. 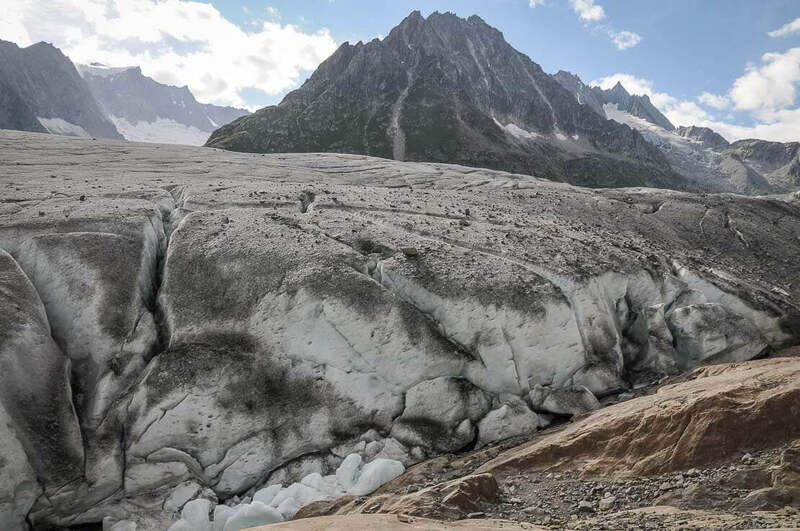 Unfortunately, the glacier has dramatically receded since 1880, and the decline has accelerated since the 1980s. 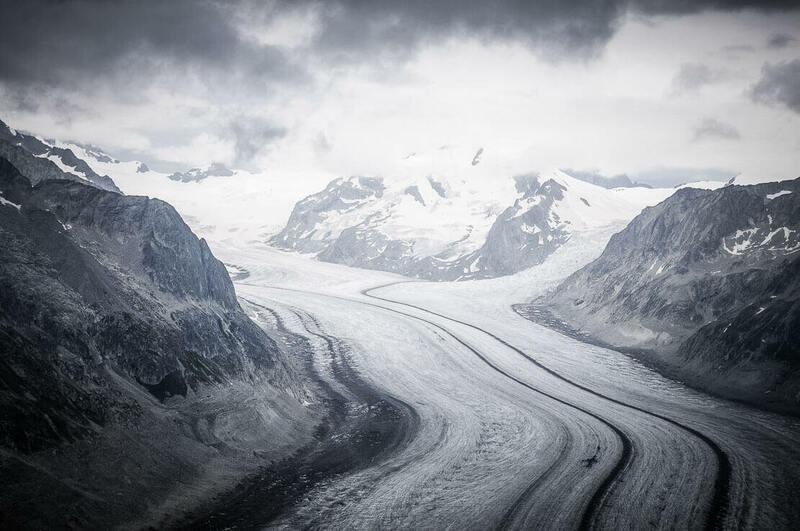 However, despite its melting as a result of global warming, this river of ice remains very impressive. 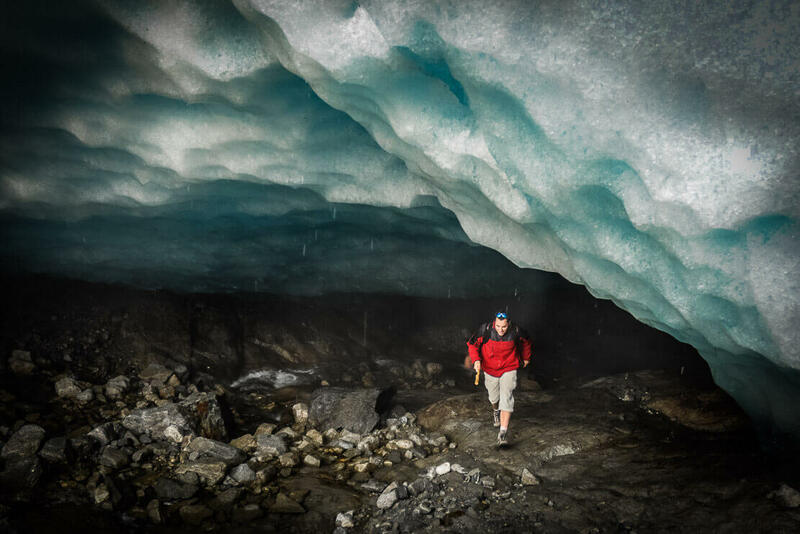 After having admired the glacier, we begin our walk to the Eggishorn station passing this time through the Tälligrat Tunnel (Unnere Tälli). 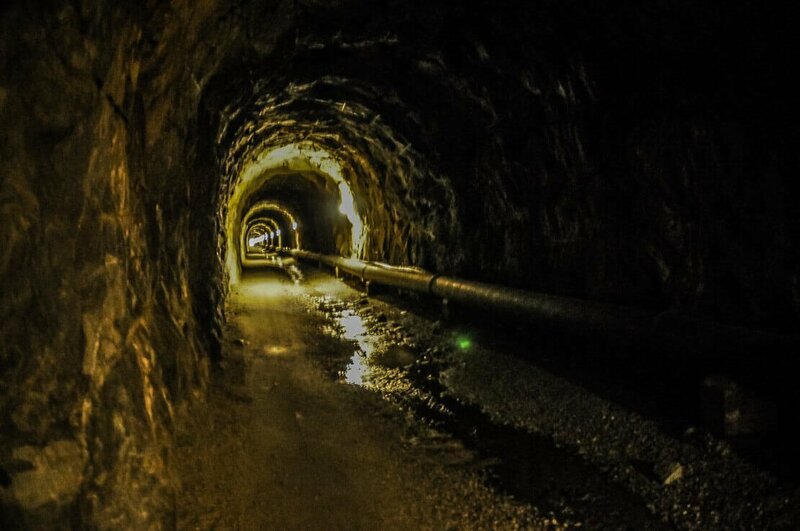 This 1,500m long tunnel enables to save one hour. 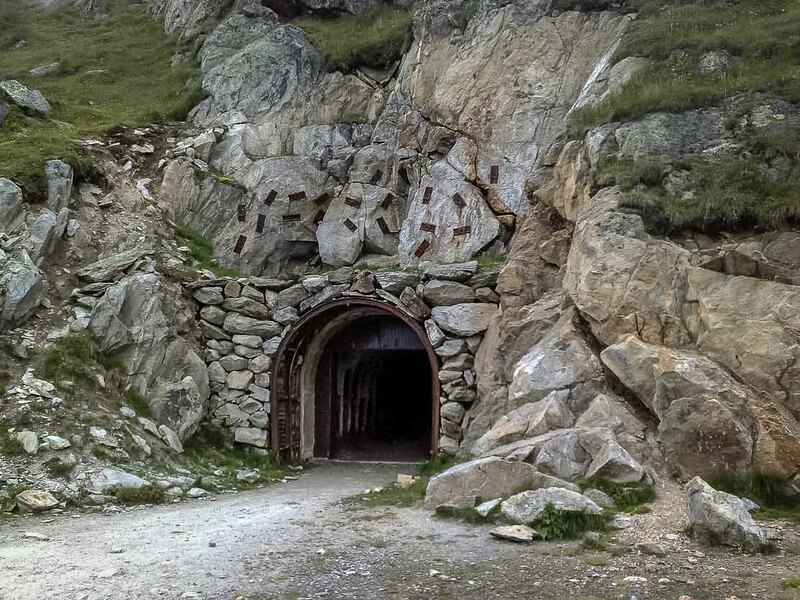 There is also a choice of passing around the mountain, but we don’t come across such a tunnel every day. We take the tunnel way without hesitation. It must be said that 1’500m is surprisingly long. But once arrived at the end of the tunnel, a certain joy to see the sky again cheers us up. 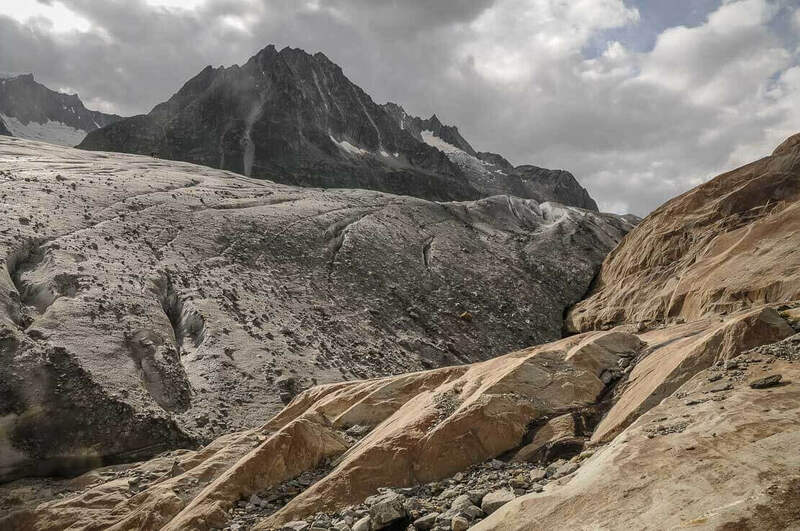 We reach the Eggishorn station, with its cable car, located at 2’869m. These are the last efforts, the climb is quite steep. 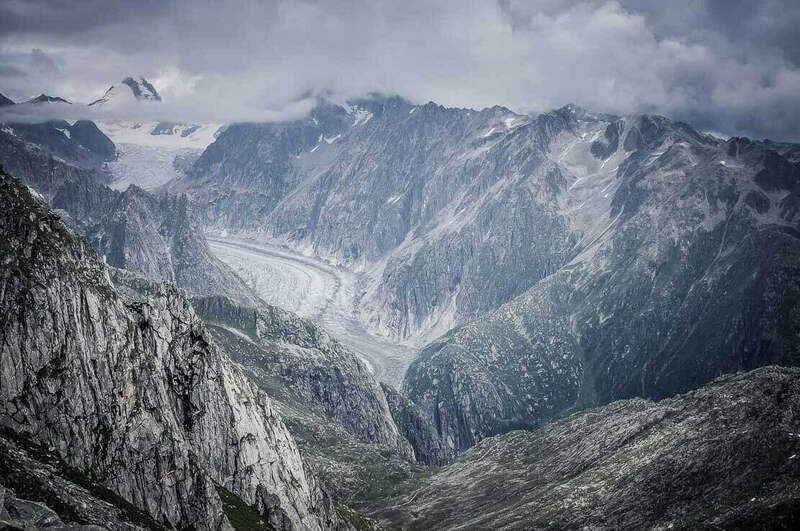 Upon our arrival, we discover a magnificent view of the Aletsch Glacier. 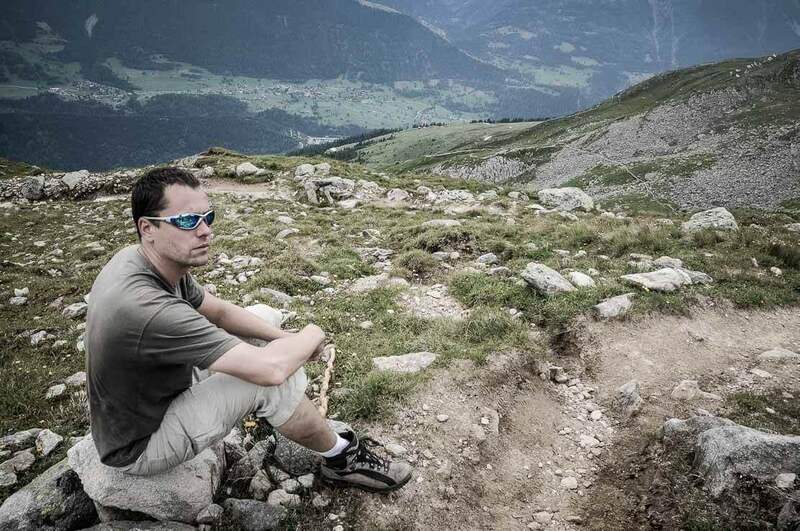 We relax at the mountain restaurant Horli-Hitta. 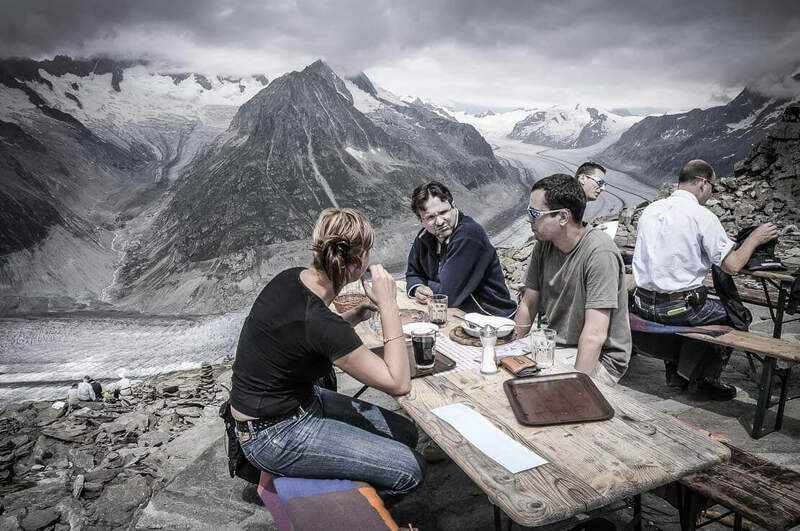 We take a sit on the beautiful terrace to have a glass of wine and admire a spectacular view of the Aletsch Glacier in all its length, with its rough and cracked surface, as well as the views of several snow-capped peaks of over 4’000m. 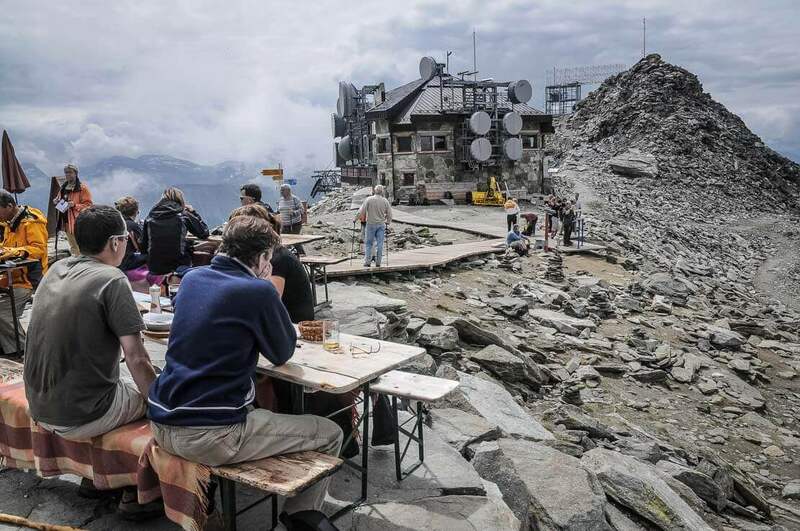 The terrace is easily accessible and inevitably attracts many people. We take a cable car to return from Eggishorn to Fiescheralp, where we have booked our hotel for a night, the hotel Jungfrau, a rather cheap place with simple but comfortable rooms. The other two hotels in Fiescheralp (Alpina and Eggishorn), although more expensive, are very friendly hotels, with Swiss style design and offering good food. We have a beautiful view from the terrace of the hotel Alpina. 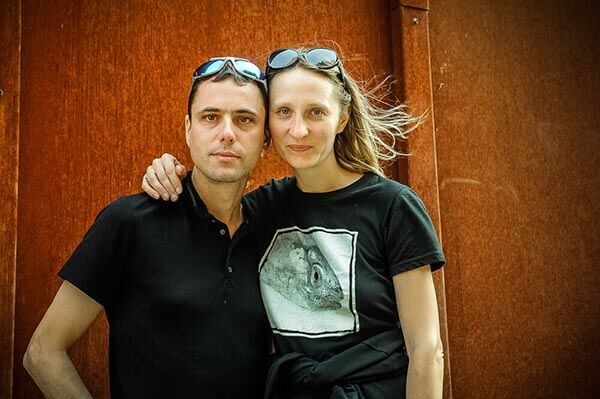 The hotel has a good menu with Wallis wines, but the choice of strong alcohol is particularly impressive – grappa, absinthe, eaux-de-vie and especially “apricotine”, eau-de-vie made from apricots in Wallis, Olga’s favourite digestive. 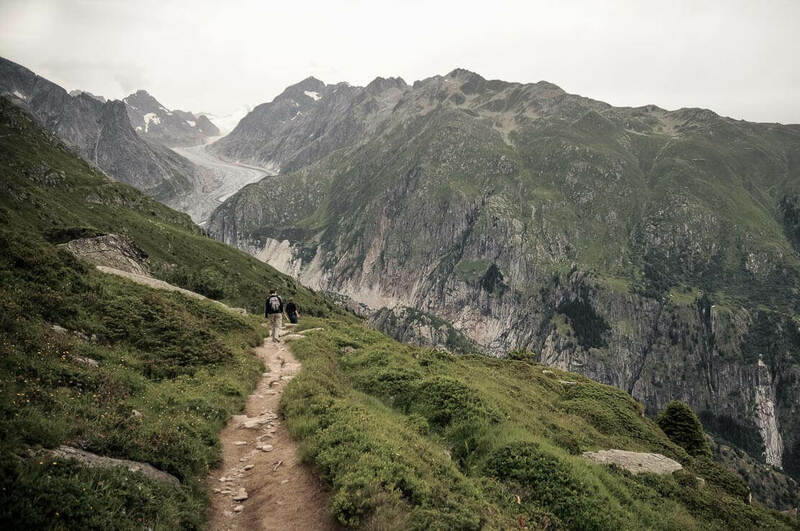 The hike to the Aletsch Glacier is a memorable walk, and one of those hikes, which are considered as a “must” in Switzerland. 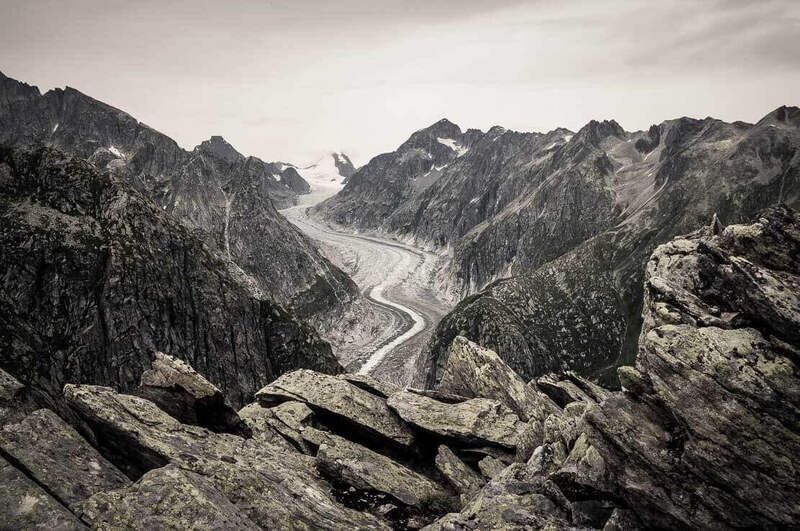 Access: The Aletsch Glacier is located in the canton of Wallis in Switzerland. 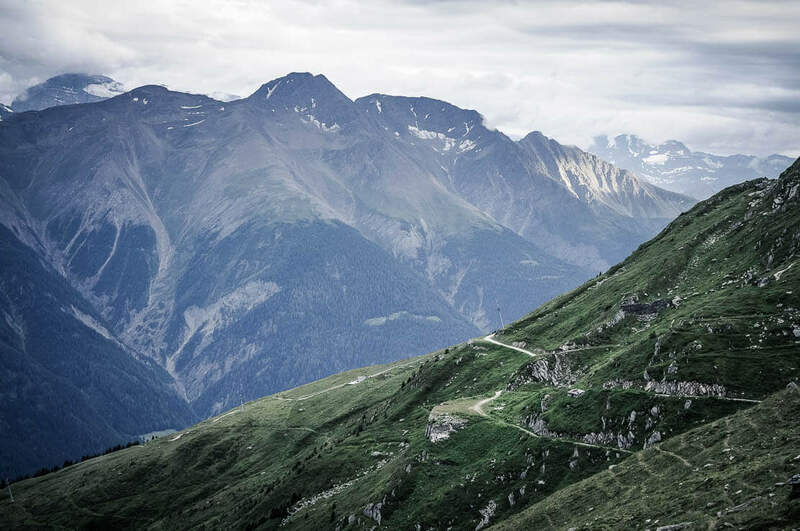 There are three choices of the starting point: 1) from Riederalp, 2) from Bettmeralp or 3) from Fiesch. 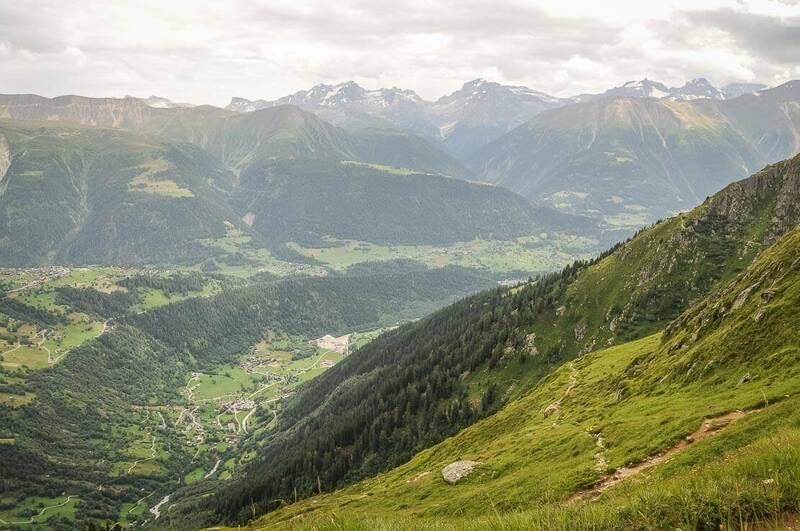 From Fiesch you can: 1) take two successive cable cars to Eggishorn or 2) take a cable car from Fiesch to Fiescheralp (otherwise, walk for 3 hours from Fiesch) and continue on foot to Eggishorn. 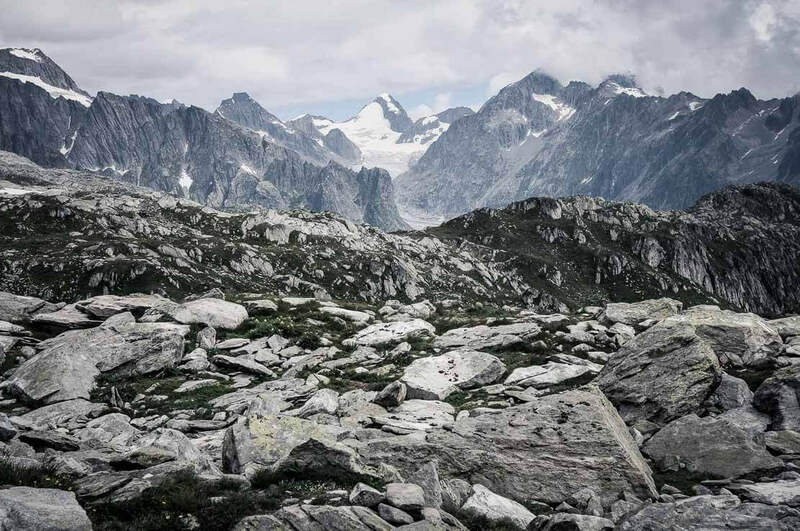 From Fiescheralp there are several possibilities to reach Eggishorn on foot: 1) take a loop by going through Lake Vordersee via the Tälligrat Tunnel (“Unnere Tälli”) or 2) take a direct trail to Eggishorn following the yellow signs for hikers (faster way). 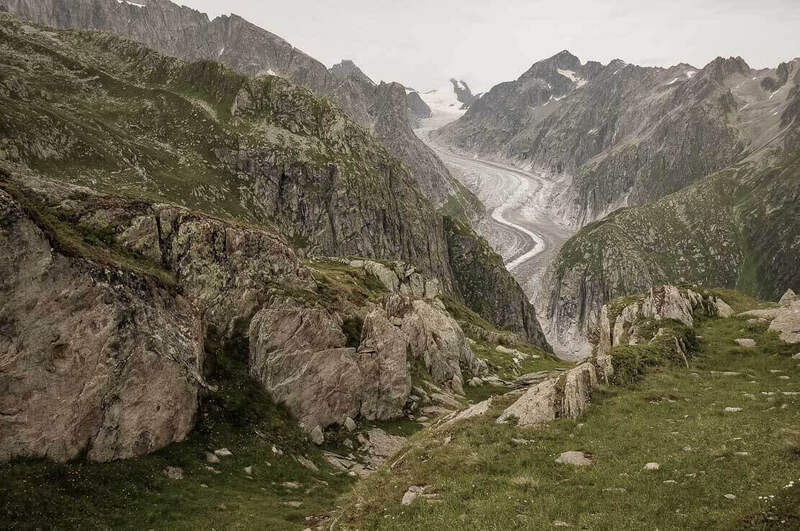 The hike to the Aletsch Glacier, which is described here, is a loop hike with a starting point from Fiesch, cable car ride to Fiescheralp (with the discovery of two glaciers: the Aletsch glacier and the Fiesch glacier. 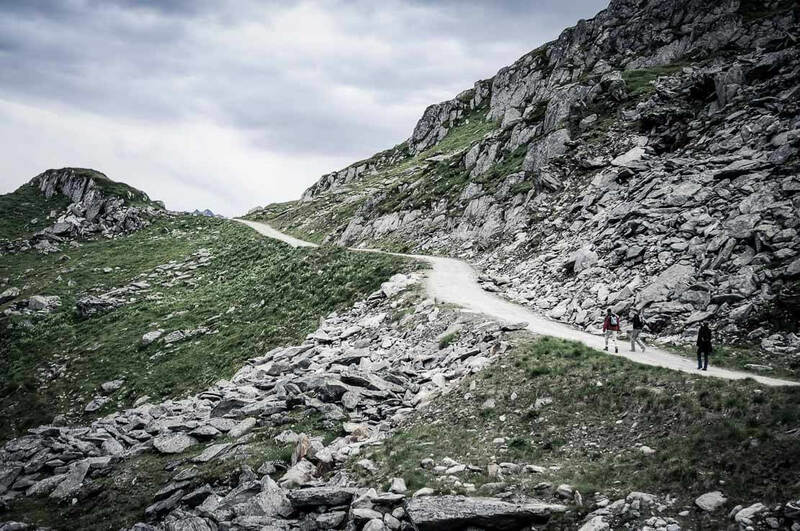 It’s also possible to hike around Eggishorn but the trail is steeper. 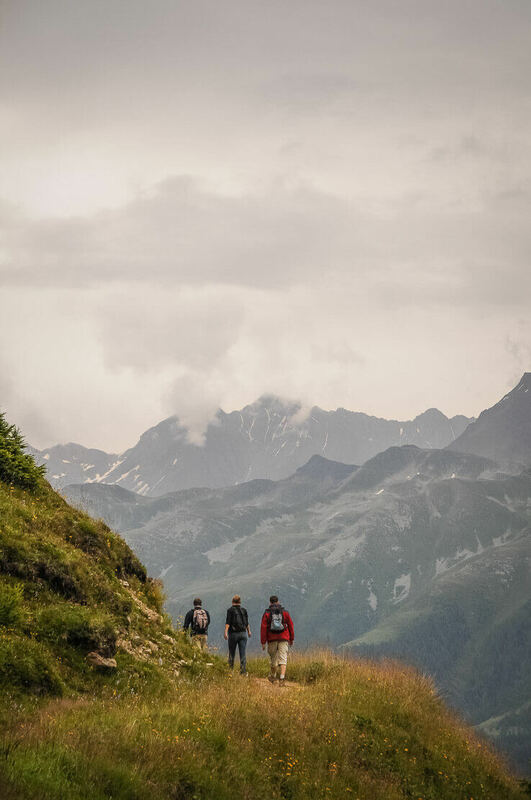 Difficulty: Easy hike: T2 (average, mountain hiking), about 15km between Fiescheralp, Gletscherstube (with detour to the glacier) and Horli-Hitta (Eggishorn), with 600m altitude difference between Fiescheralp and Horli-Hitta. 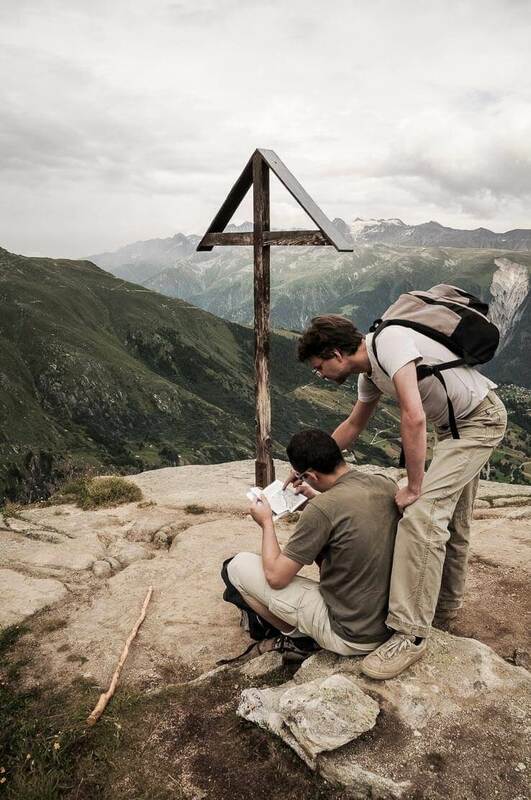 Hiking trails are well maintained and well marked, without any difficulties. • Fiescheralp: hotel Alpina, hotel Eggishorn and hotel Jungfrau. • Märjelensee: Gletscherstube Hut website (in German only). 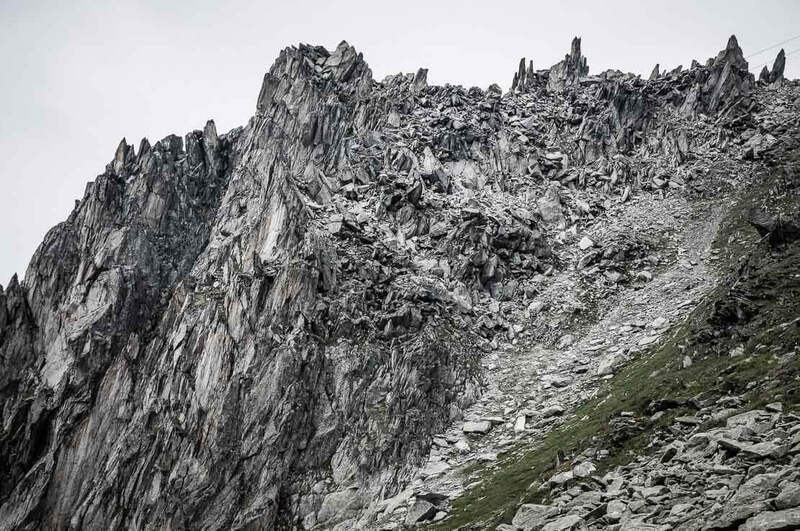 Gletscherstube Hut is accessible by well-marked trails from Riederalp, Bettmeralp, Eggishorn, Kühboden/Fiescheralp and Fieschertal.